UK Government prosecutors investigating the kidnap and ‘rendition’ of two families to Libya by MI6 and the CIA have today announced their conclusions that a senior British intelligence official was involved in the operation and had – to a limited extent – sought political approval for it. However, despite confirming the complicity of UK officials and politicians in the operation, which saw a pregnant woman and four children aged 12 and under kidnapped and rendered to Gaddafi’s Libya in 2004, the Crown Prosecution Service (CPS) has claimed there is “insufficient evidence” to bring charges. The al Saadi and Belhaj families were kidnapped, forced onto planes and flown to Colonel Gaddafi’s Libya in a joint MI6-CIA operation in March 2004. 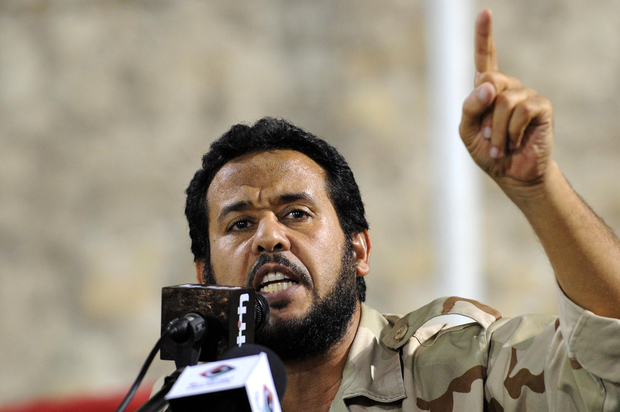 Sami al Saadi and Abdul-Hakim Belhaj were both prominent Gaddafi opponents who had been living with their families in exile, and suffered years of torture after their forcible return. Mr Belhaj’s wife, Fatima Boudchar, has told of how, despite being pregnant at the time of the rendition, she was chained to a wall in a secret CIA prison – or ‘black site’ – in Bangok, before being bodily taped to a stretcher for the entire 17-hour flight to Libya. One of Mr al Saadi’s children, Khadija, who was 12 years old at the time, has described how she was so terrified during the kidnap that she passed out. The UK Government has never denied its role in the operation, but has also refused to either acknowledge it or apologize to the families who were kidnapped. Both Tony Blair, and then-Foreign Secretary Jack Straw, who was responsible for MI6 at the time, have denied knowledge of the operation. Mr Straw told MPs in 2005 that claims of UK involvement in CIA renditions – which saw detainees flown to countries where they would face torture – were ‘conspiracy theories.’ However, it has emerged in the past few days that the head of MI5 at the time, Eliza Manningham-Buller, wrote to Mr Blair to protest MI6’s involvement in CIA rendition and torture.